This one is for you gamers out there. 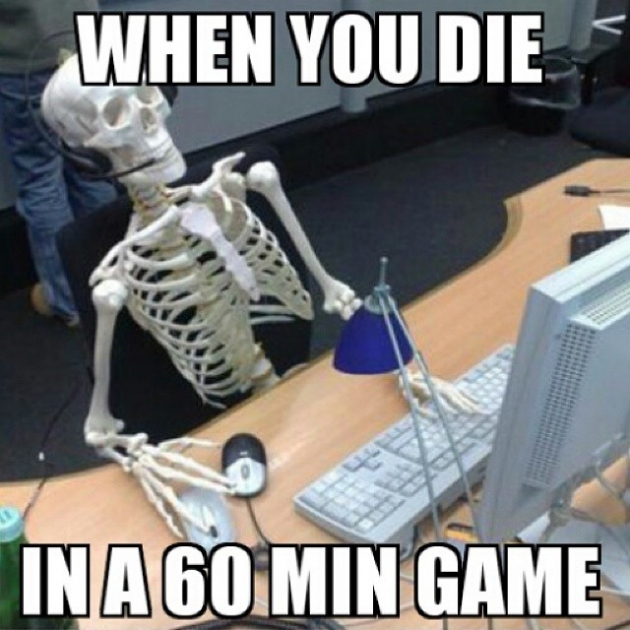 Dying in such a long game can feel like forever until you revive again. What percent of the time are you dead when you die at 60 minutes in League of Legends?